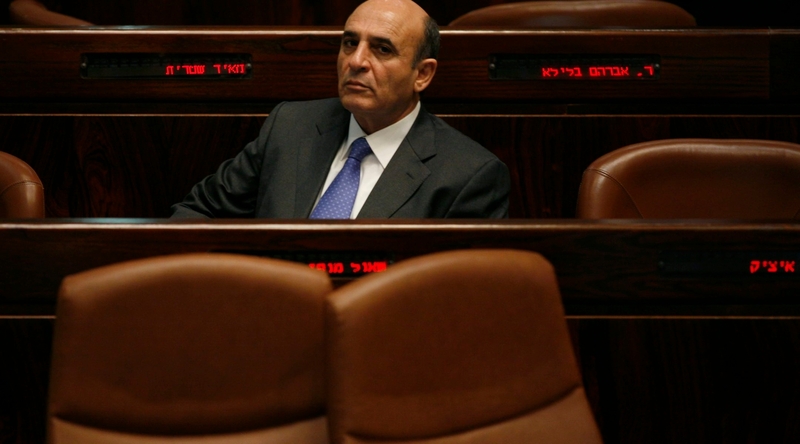 NEW YORK (JTA) — Shaul Mofaz has a plan for Israeli-Palestinian peace. Mofaz, the Likud Party defense minister-turned-Kadima leader, says the first step is the immediate establishment of a Palestinian state with temporary borders on 60 percent of the territory in the West Bank. Then, over the course of the next four to six years, the two sides would negotiate the final-status issues, including permanent borders. The final deal would be put to national referendums in Israel and Palestine. Under his plan, not a single Israeli settlement would be uprooted during the course of final-status negotiations, and both Gaza and the West Bank would be united under a moderate Palestinian government. In the end, Jerusalem would remain united under Israeli sovereignty, the large Jewish settlement blocs in the West Bank would be annexed to Israel, and the Palestinian state would be completely demilitarized. 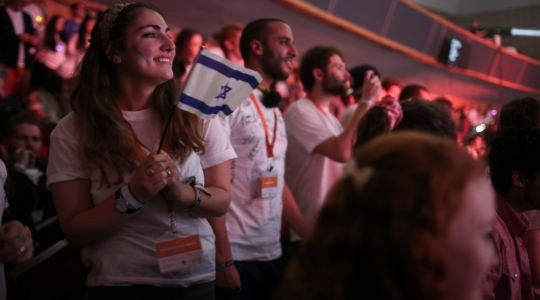 “Israel must initiate forward movement rather than being dragged into unwanted agreements,” Mofaz said last week at a presentation of his plan to the Conference of Presidents of Major American Jewish Organizations. 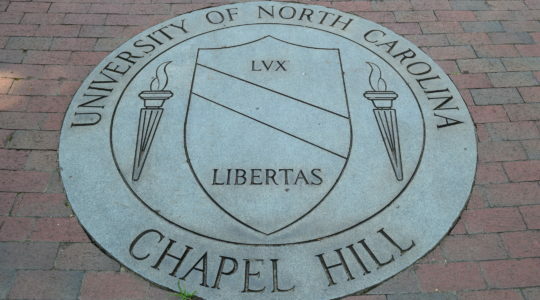 He also sat down for a one-on-one interview with JTA to discuss his proposal. Absent a Palestinian partner with the willingness and standing to sign on, the only thing Mofaz needs is a genie in a bottle to make it come true. Of course, Mofaz isn’t really expecting anyone to implement his plan anytime soon. The proposal is part of a strategy to win some attention as he jockeys for the leadership of Kadima, Israel’s chief opposition party. In the last Kadima primary election, in September 2008, Tzipi Livni edged Mofaz by just 431 votes. While many political analysts dismissed Mofaz’s strong showing as a fluke — it was Kadima’s first primary, and less than 40,000 votes were cast — Mofaz sees himself as a strong contender for the premiership. 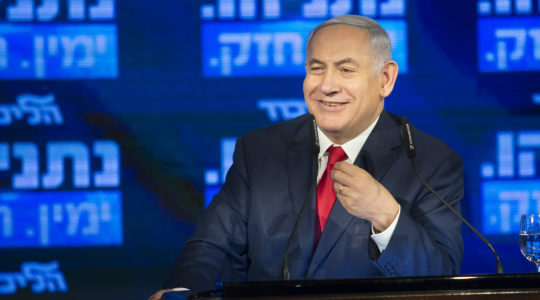 Having a plan to talk about allows Mofaz to criticize both Livni, his Kadima rival, and Prime Minister Benjamin Netanyahu, the presumed front-runner the next time Israel goes to elections. The plan itself, however, hasn’t received much traction in Israel. Livni has dismissed it as a political ploy, and Israeli media outlets have shown little interest. But if the audience at Mofaz’s presentation Nov. 19 to the Presidents Conference is any gauge, the former general’s proposal will be met with great skepticism here, too. Several potential trouble spots are apparent in the plan. It presumes Palestinian acquiescence to an interim step, but the Palestinians are insisting they won’t return to the negotiating table unless final-status issues like dividing Jerusalem, the right of return to Israel for Palestinian refugees and the removal of Israeli settlements are up for discussion. 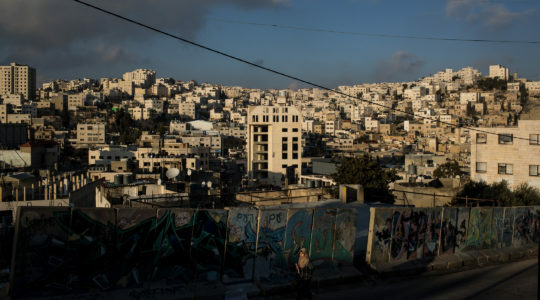 It also presumes the Palestinians would agree to trading the West Bank settlement blocs for territory in Israel proper; the Palestinians have rejected such offers in the past. The plan ignores Hamas’ control of Gaza and the possibility that Hamas could trump the more moderate Fatah faction in the next Palestinian elections, which were supposed to be held in January but appear to be on hold. In addition, the plan does not account for what happens if Gaza remains under Hamas control, if the proposed Israeli or Palestinian national referenda reject the deal or if final-status talks fail. The last time final-status talks failed, when Yasser Arafat rejected then-Prime Minister Ehud Barak’s offer at Camp David in 2000, the second intifada was launched. If that were to happen within Mofaz’s arrangement, the Palestinians already would have a state in 60 percent of the West Bank. At its core, the plan differs little from other Israeli efforts to reach Israeli-Palestinian accord. The Oslo Accords awarded the Palestinians interim territory in the West Bank and Gaza; the territory simply wasn’t called a state. The main difference in Mofaz’s vision appears to be the size of that area. Mofaz says his plan is about changing the atmosphere between the two sides so the gaps on the final-status issues can be bridged. It sounds very much like Netanyahu’s stated strategy, which is to foster economic prosperity in the West Bank to create the conditions necessary for peace. Talks between the Israelis and Palestinians haven’t shown much progress since they ran aground in 2000. And Mofaz’s proposal, given its reception thus far, doesn’t seem likely to get the two sides past their current impasse. The question is whether it can at least give him a boost in his effort to move past Livni and Netanyahu.